Rusałka, 2013 Arab mare resin by Anna Dobrowolska-Oczko, slightly resculpted and painted into a black rabicano Polish Arabian. ​​Shown in the last photo together with a Dobrowolska-Oczko Snegir resin painted by Aleksander Freda. All photographs by Aleksander Freda of Dark Pegasus Studios. 1:22. 2017. Two Miniature Schnauzer resins sculpted by Deseo. Both were resculpted and painted by Aleksander Freda of Dark Pegasus Studio & myself, as gift portraits of the dogs of a family friend. 2017 work. 1:12. Mira, a portrait resculpt on the Eberl Schwarzwälder resin. The face, feather, mane and tail, hips and ears were resculpted from the original; and the model painted into a light flaxen chestnut. 1:9 scale. Work done between 2010 - 2017. Photos by Dark Pegasus Studios & Koni Miniatures. 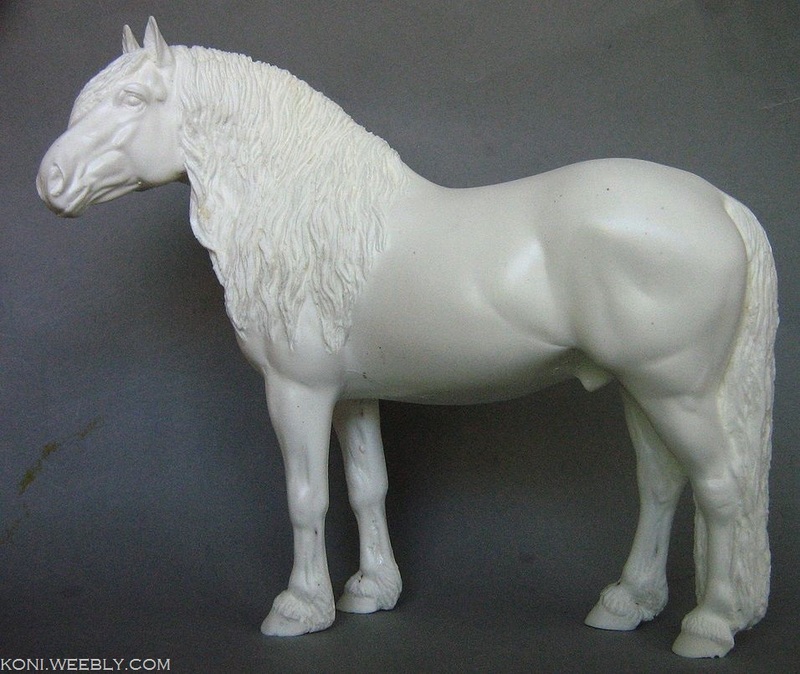 Wilga, a Hucul pony mare original sculpture made in collaboration with Anna Dobrowolska-Oczko of Horse and Bird and Aleksander Freda of Dark Pegasus Studio. 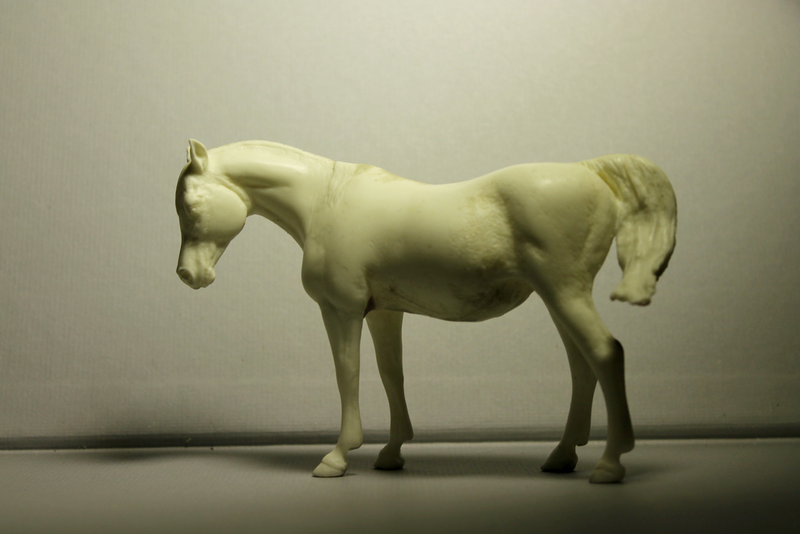 This sculpture was released in resin by Horse and Bird - copies can still be bought. For sales info, please see here. 1:12. 2017. Photographs by Anna Dobrowolska-Oczko. Garold/Гарольд, a resculpted (entirely new legs, ears, tail) 2012 Papo reindeer 50117 to a Russian riding bull. The 2nd set of photos show him alongside an unaltered copy. 2016-17.